We have created one of the most powerful brands by bringing memorable, life-changing storytelling to the world. 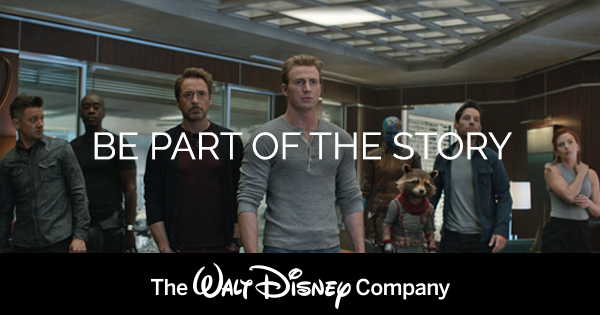 The foundation of this creativity starts with The Walt Disney Studios where we produce, acquire, and distribute live-action and animated motion pictures, video experiences, music, and live performances. Our brands include Marvel, LucasFilm, Pixar, Disney Animation, Disney Nature and Hollywood Records. No other Media & Entertainment company can rival the brands we have the honor of bringing to the world. As part of the Studio’s Technology team you’ll be joining a group of seasoned, dedicated technologists solving a range of interesting problems in innovative ways in an exciting and dynamic industry. We are looking for a self-starting technology leader who is dedicated to building the future of movie distribution. We’re a casual shop that values passion, community involvement and exceptional software. If this is you, we want you to join our team. You will lead a multidisciplinary team and must have deep experience designing and implementing media distribution and digital supply chain systems for Theatrical Distribution across multiple markets. He or she will bring that experience to bear, as well as build a deep understanding of current and future technologies associated with the Studio businesses they support; they will be seen as an expert by Studio Technology and business partners alike. Lead a cross functional team (Product, PM, Dev & QA) that manages multiple business systems for the Walt Disney Studios, this team are organizationally and internationally dispersed. Work closely with the User Experience (UX) and Visual Design teams to define and build great guest experiences across all multiple platforms. Build and maintain productive relationships with partners from other segments within the Walt Disney Company, external vendors and other services. Analyze and research trends in media distribution. Develop success KPIs and measure impact of developed solutions against those KPIs. A master problem solver. You take deep pride in your work and view each new problem as an opportunity for success; you approach challenges creatively, but methodically, and are biased toward delivering requirements fit quickly and within budget constraints considering all available options including SaaS, package, and purpose-built solutions. A strong leader. You have learned from experience; you’ve delivered many business solutions from ideation to production; you’re focused on value and drive the right solution in spite of resistance or obstacles. Comfortable with ambiguity. You face change with a cool head and persevere even if you don’t have all the details; you’re comfortable moving between projects and facing the uncertain because risk and change motivates you to evolve and innovate. Technically astute. You rapidly learn new skills, grasping complicated technical information that often leaves others lost whether it’s product, industry, or hard tech knowledge, you absorb it quickly and are ready for more. Evidence of continuous growth and increasing responsibilities in previous positions. Experience managing teams that are geographically dispersed in a matrix organizational model.